1. MARGARET E.5 KIRKLEY (ROBERT4, ROBERT KIRKLEY3 SR., JAMES2 KIRKLEY, (SR.), JOHN1) was born 31 Mar 1869 in Sumter, Sumter County, South Carolina, and died 19 May 1920 in Nacogdoches Co., Texas1. 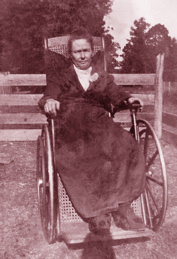 She married WILLIAM MOSES WINDER 12 Dec 1889 in Nacogdoches County, Texas2, son of PETER WINDER and KAREN HERRIN. 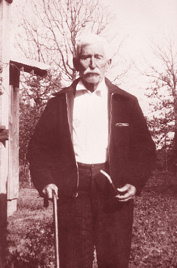 He was born 08 Nov 1860 in Texas, and died 26 Jul 1943 in Nacogdoches County, Texas. Margaret Kirkley Winder's birthdate was taken from her gravestone in the Pleasant Hill Cemetery close to Nacogdoches, Texas. Her name on the gravestone is Maggie Winder. Her children's names and birthdates were found in the 1910 Census for Nacogdoches County, Texas. Does the E. in her name stand for Elizabeth? Margaret's name appears on the 1920 Nacogdoches County, Texas census; did she not die in 1919??. William Moses is 10 years old, with parents and eight siblings on 1870 Rusk County Census. Image 279....Ancestry.com. 2. i. PAULINE6 WINDER, b. Sep 1890, Nacogdoches County, Texas; d. Nov 1978, Livingston, Polk County, Texas. ii. GEORGE W. WINDER, b. Aug 1892; d. Deceased; m. ANNIE TATUM3. I found a George W. Winder, b abt. 1893 in Texas, married to a Fannie G., b. 1901 in Texas on 1930 Nacogdoches County Texas Census, Precinct 3, District 10, Image 4....Ancestry.com. Is this the same George W. Winder, son of Wm. Moses and Margaret E. Kirkley Winder?? On July 19, 2008, I think this is true. Guidry to Kent Kirkley on June 23, 2008. George W. Winder is listed on 1920 Nacogdoches County Texas Census with Annie as his wife. No children. iii. IRENE WINDER, b. Feb 1896, Nacogdoches County, Texas; m. NOAH BOYETT4. Irene is wife of Noah Boyett. (info from Wanda Smith in 2001). Daughter of William Moses Winder and Margaret E. Kirkley. 3. iv. SARAH ELLA WINDER, b. 07 Dec 1899, Texas; d. 05 Dec 1941, Nacogdoches County, Texas. v. PERCILLA WINDER, b. Oct 1899, Nacogdoches County, Texas; d. Deceased. Middle name may be Karen, and spelling of first name could be Priscilla. 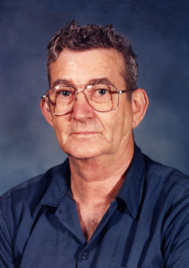 When Kent Kirkley talked to Wilma Fay and Shirley Irene in June 2008, Percilla, George, and Bernie Winder were deceased. vi. BERNIE WINDER, b. 1908, Nacogdoches County, Texas; d. Deceased. 4. vii. CONNIE WINDER, b. 1910, Nacogdoches County, Texas; d. 24 May 1997, Nacogdoches County, Texas. 2. 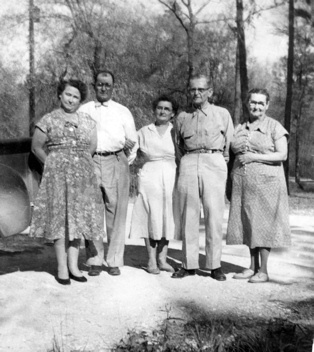 PAULINE6 WINDER (MARGARET E.5 KIRKLEY, ROBERT4, ROBERT KIRKLEY3 SR., JAMES2 KIRKLEY, (SR.), JOHN1)5 was born Sep 1890 in Nacogdoches County, Texas, and died Nov 1978 in Livingston, Polk County, Texas6. She married EARNEST MOODY7 Abt. 1917. He was born Abt. 1892 in Texas. i. LIZZIE B.7 MOODY8, b. 1917, Nacogdoches County, Texas. ii. RICHARD MOODY9, b. Abt. 1919, Nacogdoches County, Texas; d. 02 Apr 1982, Livingston, Polk County, Texas. May have a daughter named Ozie Mae Moody Hart. Add when verified. iii. 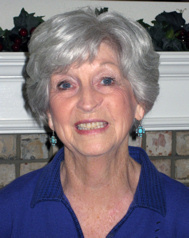 DOROTHY MOODY9, b. 1925, Texas; m. HOLLIS COKER10; d. 1998, Livingston, Polk County, Texas. 3. SARAH ELLA6 WINDER (MARGARET E.5 KIRKLEY, ROBERT4, ROBERT KIRKLEY3 SR., JAMES2 KIRKLEY, (SR.), JOHN1)11 was born 07 Dec 1899 in Texas, and died 05 Dec 1941 in Nacogdoches County, Texas12. She married DONNIE LEE BELL13. He was born 19 May 1891, and died 21 Jan 1953.
i. OTTIS7 BELL15, b. 11 Mar 1915, Nacogdoches County, Texas; d. 17 Mar 1932, Texas16. ii. ARLIE BELL17, b. 10 Jul 1917, Nacogdoches County, Texas; d. 14 Aug 1938, Texas18. iii. GEORGE WASHINGTON BELL19, b. 1918, Nacogdoches County, Texas; d. 10 Feb 1975, Conroe, Montgomery County, Texas20; m. GUSSIE LEA _______21; d. 05 Oct 1992, Harris County, Texas22. Worked as foreman for Consruction company. iv. CLIFFORD EARL BELL23, b. 1919, Nacogdoches County, Texas; d. 24 Mar 2004.
v. SHELLY ? BELL, b. 1923, Nacogdoches County, Texas. vi. ROSINE ? BELL, b. 1925, Nacogdoches County, Texas. 4. CONNIE6 WINDER (MARGARET E.5 KIRKLEY, ROBERT4, ROBERT KIRKLEY3 SR., JAMES2 KIRKLEY, (SR.), JOHN1) was born 1910 in Nacogdoches County, Texas, and died 24 May 1997 in Nacogdoches County, Texas24. She married HYRAM MELVIN SEAGO25, son of HALFORD SEAGO and LILLY. He was born Abt. 1909 in Texas, and died 31 Jan 1994 in Nacogdoches County, Texas26. Connie's middle name could be Wilma. She was about 9 years old when her mother died, probably of influenza. i. WILLIAM FLOYD7 SEAGO, b. 06 Jun 1931, Nacogdoches County, Texas27. 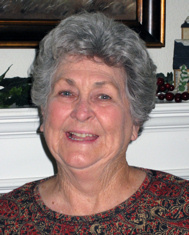 Resides in Nacogdoches in June 2008; does not have any photos of Margaret E. Kirkley Winder, his grandmother. Kent telephoned him the morning of June 23. He has never married. ii. SHIRLEY IRENE SEAGO, b. 23 Mar 1935, Nacogdoches County, Texas28. iii. WILMA FAY SEAGO29, b. 17 Jun 1937, Nacogdoches County, Texas30. 1. Gravestone in Pleasant Hill Cemetery, Nacogdoches County, Texas, There is an error in death date. It should be 1920, as she is enumerated in Linn Flat, Nacogdoches County, Texas on 1920 census with her husband and three younger children. 2. Texas Marriages 1851 to 1900, Ancestry.com. 3. RootsWeb's World Connect Project: Winder, ID: i350 under George Winder (Dec. 30, 2002). 4. Descendants of Sara Priscilla Hartless. 5. 1920 Nacogdoches County Texas Census, Justice Precinct 4; District 129; Etoile Rd. ; Image 22....Ancestry.com. 6. Social Security Death Index, Found her married name Feb. 18, 2006. 7. 1930 Polk County Texas Census, Precinct 1; District 2; Livingston-Blanchard Rd. ; Image 16....Ancestry.com. 8. 1920 Nacogdoches County Texas Federal Census, Justice Precinct 4; Disrict 129, Etoile Rd. ; Image 22....Ancestry.com. 9. 1930 Polk County Texas Federal Census, Precinct 1; District 2; Image 16....Ancestry.com. 10. From Kent after conversation with Seago Sisters, June 23, 2008. 11. Texas Deaths 1898 - 1976, Mother's name on Death Certificate #13321 for her son, George Washington Bell; he died 10 Feb 1975. 12. Nacogdoches County Cemetery Records Book III, Union Springs Cemetery (in Texas). 13. Texas Deaths, 1898 - 1975, From record of son George Washington Bell who died 10 Feb 1975. 14. Nacogdoches County Cemetery Records Book III, Union Springs Cemetery ( in Texas). 15. 1920 Nacogdoches County Texas Census, Found Feb. 6, 2006, Justice Precinct 5, District 130; Henderson Rd. ; Image 18.....Ancestry.com. 16. Nacogdoches County Cemetery Records Book III, Union Springs Cemetery (in Texas). 17. 1920 Nacogdoches County Texas Census, Justice Precinct 5, District 130; Henderson Rd. ; Image 18.....Ancestry.com. 18. Nacogdoches County Cemetery Records Book III, Union Springs Cemetery (in Texas). 19. 1920 Nacogdoches County Texas Census, Justice Precinct 5, District 130; Image 18.....Ancestry.com. 20. Texas Deaths 1890 - 1976, Found June 23, 2008. 21. Texas Deaths 1898 - 1976. 22. Texas Deaths 1964 - 1998, found June 23, 2008. 23. 1920 Nacogdoches County Texas Census, Justice precinct 5; District 130; Henderson Rd. ; Image 18....Ancestry.com. 24. One World Tree on Ancestry.com. 26. Texas Death Index 1964-1998, FamilySearch.org (June 15, 2008). 27. Nacogdoches County, Texas: Births 1931. 28. Nacogdoches County, Texas Births, 1935. 29. Nacogdoches County, Texas Births: 1937. 30. Texas Birth Index 1903 - 1997.